Anonymous’ vow to wage war on ISIS has been all over the news and social media since Sunday. Yesterday, via @opparisofficial, it shouted that it already achieved results by taking down over 5,500 ISIS Twitter accounts. Anonymous is a globally distributed group of individuals, which makes it virtually impossible to tell how big it is or what is really going on. It also has numerous Twitter accounts but @opparisofficial appears to be its main means of communication around its #OpParis retaliation. To report ISIS accounts, put them into a pastebin and post in IRC, or upload them to the link in our profile. Can this spill into the world outside Twitter? Yes, of course it can. IRC is a text chat function that anyone can use to communicate with the group. When I popped on early this morning there were already 64 people in the room – although no engaged debate. Many people who would never have thought to join a group like this may be prompted to in a desire to “do something” in the wake of the Paris attacks. This can easily galvanise into wider action. It fact, yesterday Anonymous posted some simple guides to help ordinary people get involved. These included, a “NoobGuide” for those who want to take part but don’t know enough about hacking, a “Reporter” guide to show individuals how to uncover ISIS accounts, and a “Searcher” guide to help them uncover relevant websites. To commemorate November the 5th a few weeks back I wrote two-part piece around what it would take for politically motivated individuals to hack the White House. The result, based on the feedback of experts, was very similar to the Anonymous approach. 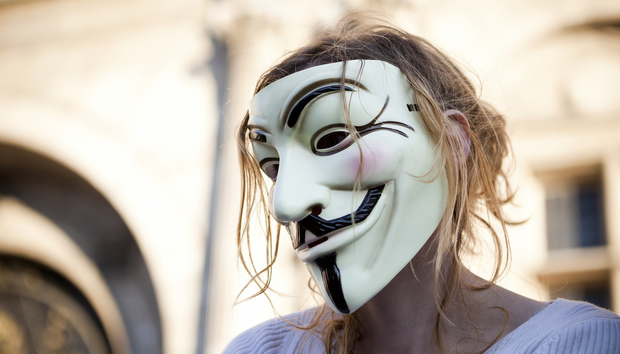 Is this war between Anonymous and ISIS good or bad? There are three main ways to look at this. Just a bunch of silliness: Amidst reports earlier this week that ISIS called Anonymous a bunch of “idiots” in text speech, it is possible to dismiss all this as online shouting. Better than guns: There is a case to be made that online retaliation by a group like Anonymous is better than the vigilante burn-some-houses-down reaction the Paris attacks might have provoked. This was my first reaction. But now I’m not so sure. Fuel for a massive future problem: The threat of cyber terrorism is extremely real – only yesterday the UK Chancellor of the Exchequer, George Osborne warned about this. Yet despite the fact an attack could take down most civilian infrastructure, it is not large on most ordinary people’s radar. So, while it may not seem as bad as fire bombs… this Anonymous retaliation could increase the likelihood of a deadly, hideous, truly terrifying cyberwar.